Edinburgh Airports Terminal Surface parking is right outside the terminal so it is just a short walk to your check in desk. SALE! Special price not always available. Vehicles carrying passengers with blue badges are given 30 minutes' free access to any of our car parks. Car parks have wide disabled parking bays, please follow the signs to the appropriate area of the car park. Drivers carrying blue badge holders should present their ticket to the Customer Services office for validation to exit. Telephone help points/assistance call points are located near allocated spaces and assistance is free to those with special needs. Disabled customers: wheelchair push/provision or help with baggage will be provided. Just lift the telephone or press the assistance button and request assistance. If you wish to park in the designated spaces but take your badge on your journey, you will need to show your badge to the car park operator. Please contact the car park operator via the help button at the pay stations or by visiting the Customer Services office. 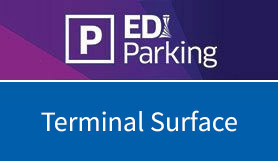 The Terminal car park is located onsite, so please follow sign posts for Edinburgh Airport. On arrival at Edinburgh Airport please follow signs for the short stay car park. Your booking is valid for the surface car park. Edinburgh Airport is about eight miles west of the city centre. The entrance is reached from the A8 Glasgow Road, and is close to the M8 and M9 motorways. The A8 airport junction is between the Gogar and Newbridge roundabouts. If you're approaching from Edinburgh, join the A8 from the city bypass and head towards Glasgow. If you're coming from the north or west, join the A8 at the Newbridge roundabout and head towards Edinburgh, then follow signs for the airport.